The ruins of the ancient city of Parion are located on the territory of modern Turkish village of Kemer, in Çanakkale Province, on the coast of the Marmara Sea. The ruins are far from the beaten track, so it is difficult to reach them, and even find interesting information in a language other than Turkish is a challenge. 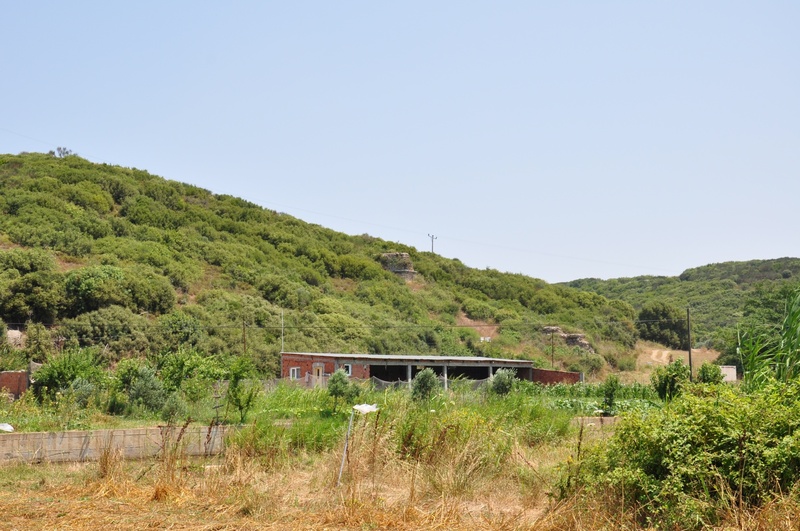 Thanks to intensive archaeological excavations, conducted in Parion, crucial findings are made every year, shedding light on the history of the settlement. Parion, also called Parium, was a Greek city located on the border of historical lands of Troad and Mysia. In ancient times, Parion functioned as an important harbor for the surrounding settlements. The origin of the town's name has not yet been scientifically explained, but there is a tradition that it comes from Paris, the son of the Trojan king Priam. The city was founded probably about 3,000 years ago as a colony by settlers from Eretria (Greek polis from the island of Euboea) and the island of Paros in the Aegean Sea. Parion was a member of the Delian League. In the city, there were defensive towers, and at least four temples. In the Hellenistic period, it came under the control of Lysimachus - one of diadochi of Alexander the Great. After his death, the city was taken over by the Attalid from Pergamon. As a part of the Pergamon Kingdom, Parion was handed over to the Romans by the will of Attalos III in 133 BC. Antique coins from Parion testify to its great importance and advanced minting facilities. The most interesting picture, visible on the coins from the Hellenistic period, is the coat of arms. It depicts the so-called gorgoneion i.e. the head of the Gorgon - a terrible mythological beast with sharp fangs, and hair in the form of poisonous snakes. In ancient times, gorgoneion served as an apotropaic amulet, reversing evil charms (similar role is now played by nazar boncuğu - a popular Turkish amulet). The relation between the city of Parion and the Gorgon is not fully understood, most likely it was chosen as the emblem of the city to reverse bad intentions and repel attacks against the city. Perhaps it had to do with military power represented by Parion. In the history of Christianity, Parion appeared as a place where the Christian community already existed before 180 AD. Local martyrs and saints from Parion had some unusual names: Onesiphorus, Menignus, Teogenes, and Basil. Initially, Parion belonged to the Archbishopric of Cyzicus. From 640, it became an independent Archdiocese, and retained this status until the end of the 13th century. Then, on the orders of the Byzantine Emperor Andronicus II Paleologus, it gained the status of a metropolis, as Pegon kai Pariou. 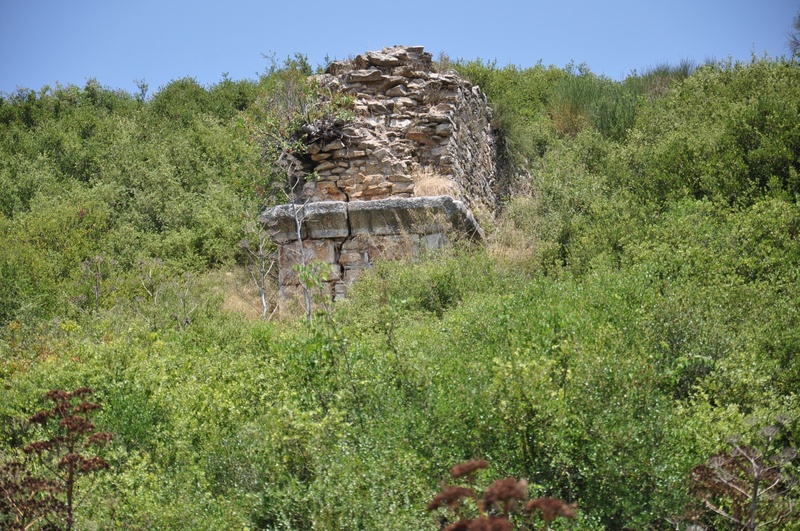 In the Ottoman times, the ruins of Parion were located in the area of Kamares village, inhabited mainly by the Greeks, and subjected to the sanjak of Biga. Today, the village is called Kemer Köyü and is a small fishing port. 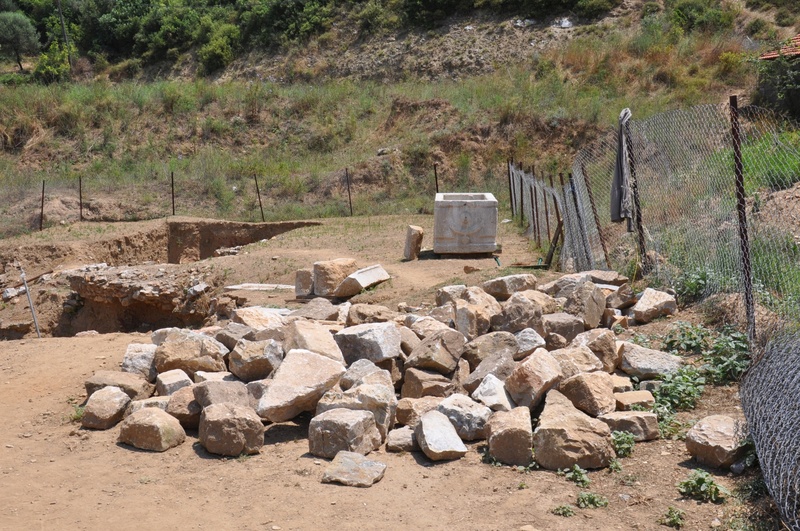 Archaeological work has been conducted at the ruins of Parion for many years. The existence of ancient Parion was no secret to the father of the Turkish archeology - Osman Hamdi Bey. He found there a sarcophagus, later transported to the Archaeological Museum in Istanbul. Since 2005, a team of archaeologists in Parion has been directed by Professor Cevat Başaran from Atatürk University in Erzurum. The most important discoveries made by his team are tombs and sarcophagi from the area of ​​Parion necropolis. Among them, it is worth mentioning a 2200-year-old sarcophagus, which was unearthed in 2009. Golden earrings found in it bear the symbol of Eros, and they were accompanied by numerous rings and some fragments of the crown decorated with precious stones. 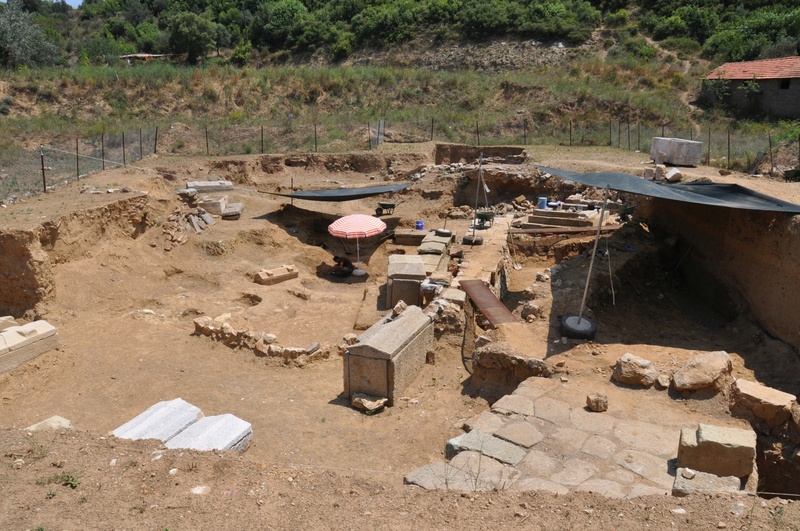 These finds allow the presumption that a rich person was buried there, and she was called the princess of Parion by the discoverers of the tomb. 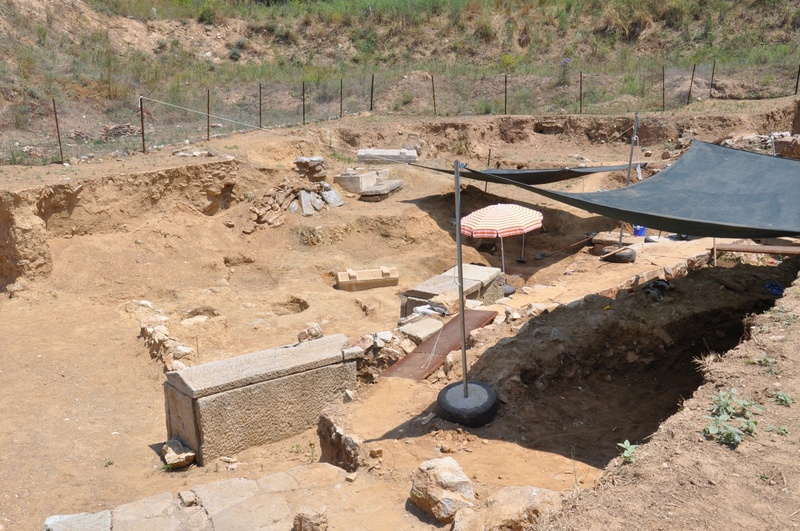 Unfortunately, the bones of the people buried in the necropolis have not been well preserved because of soil moisture due to the proximity of the sea. A royal crown and gold coins with the figure of the sun god were discovered in another tomb. 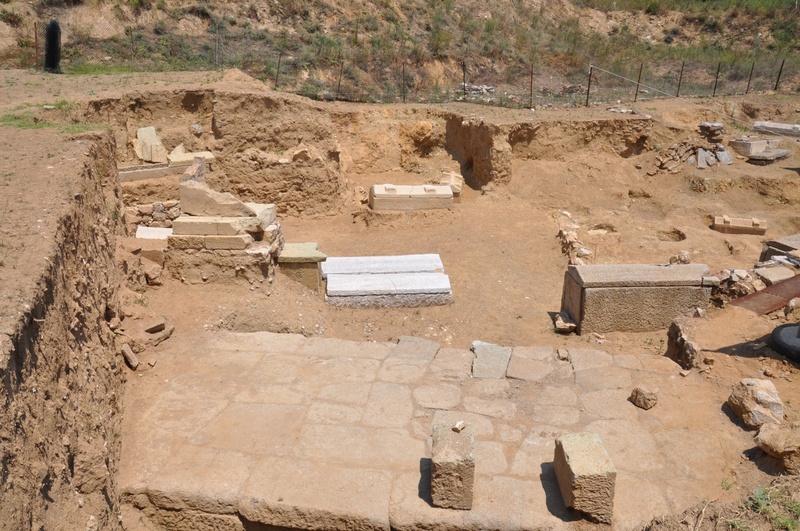 In addition to these special sarcophagi, around 200 graves have been discovered in the necropolis, often with for the dead, including bottles for tears, oil lamps, and toys. Sometimes the funeral gifts enable the identification of the occupation of the person buried there, as in the case of the tomb, with bronze fragments of a fishing rod from the 1st century AD. Unfortunately, many of the tumuli surrounding Parion, have been plundered by treasure hunters. Archaeological excavations in Parion are also carried out in a theater, an odeon, and baths, as well as in six areas on a hillside overlooking the ancient city. 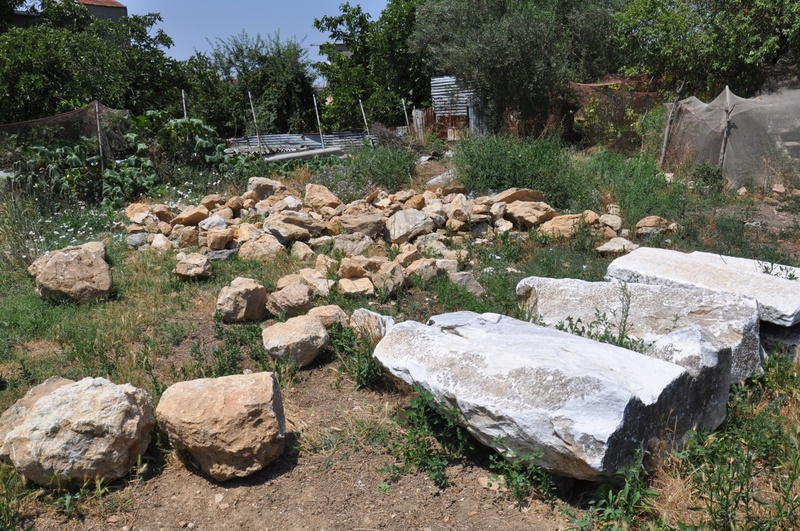 Important discovery was made in 2011 when a marble block was found, with an inscription in the Phrygian language. Because of this discovery, Parion is now considered as the north-western boundary of ancient Phrygian civilization. Based on the excavation findings, Professor Basaran says that Parion was a great city, ruled by the wealthy elite of the Hellenistic era. The professor hopes that the ruins of Parion will become a tourist attraction comparable to Ephesus. Honestly, we need to warn the travellers interested in exploring Parion that these plans relate to the very distant future, as the current excavations are in no way prepared to receive tourists. 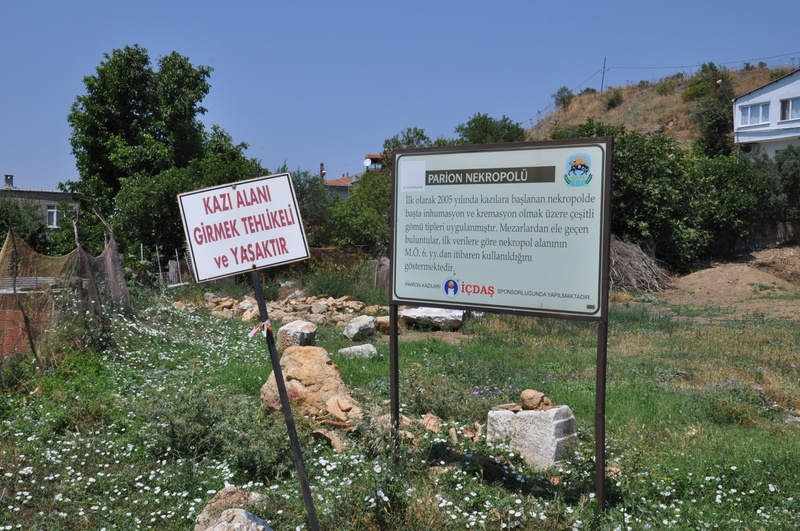 At the entrance to the village of Kemer, there is a faded signboard about Parion (in Turkish). On a hill, in the vicinity of this board, you can see the remains of fortifications. In the center of the village, a signpost leads to the necropolis, where the excavation work is carried out. The official information panel at the necropolis states that the entrance is dangerous and prohibited. However, you can ask for the permission to take some photos. 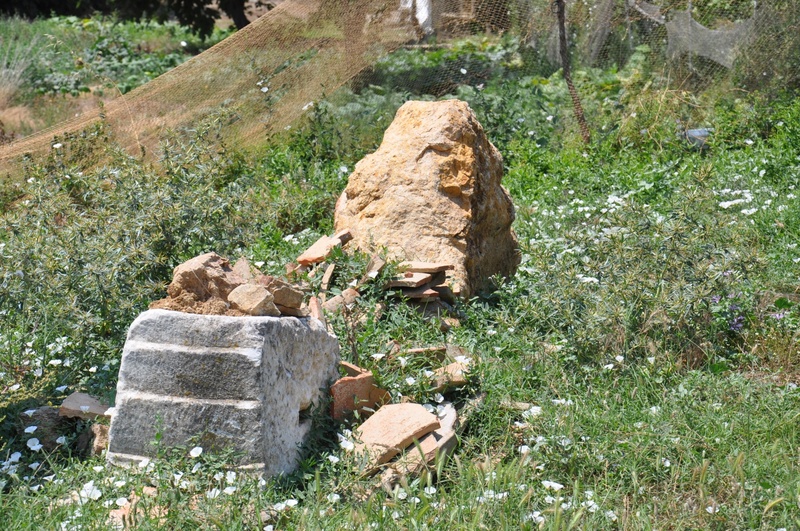 Do not overuse the patience of the archaeologists and do not enter the area of the necropolis. The most important ancient buildings of Parion are located to the north of the center of Kemer, about 600 meters from the necropolis area. There are the remains of a theater, an odeon, and Roman baths. 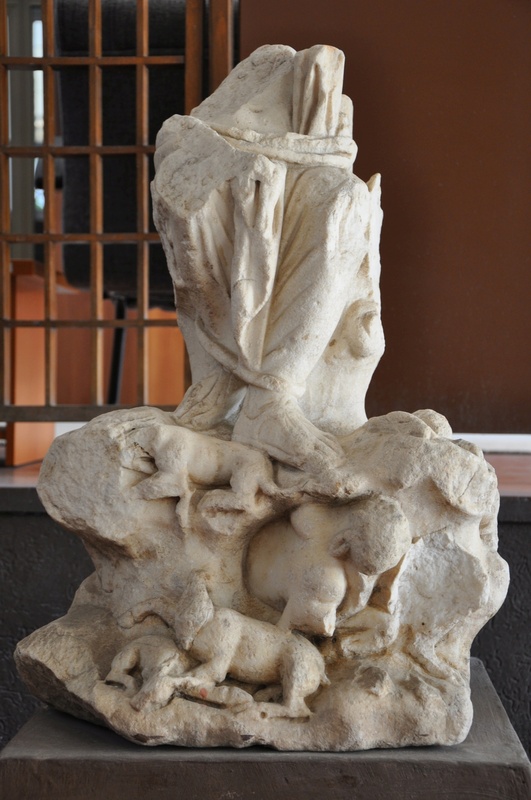 The finds from excavations conducted in Parion, dating back to the archaic, Hellenistic and Roman periods, are presented in display cases in the Archaeology Museum in Çanakkale. 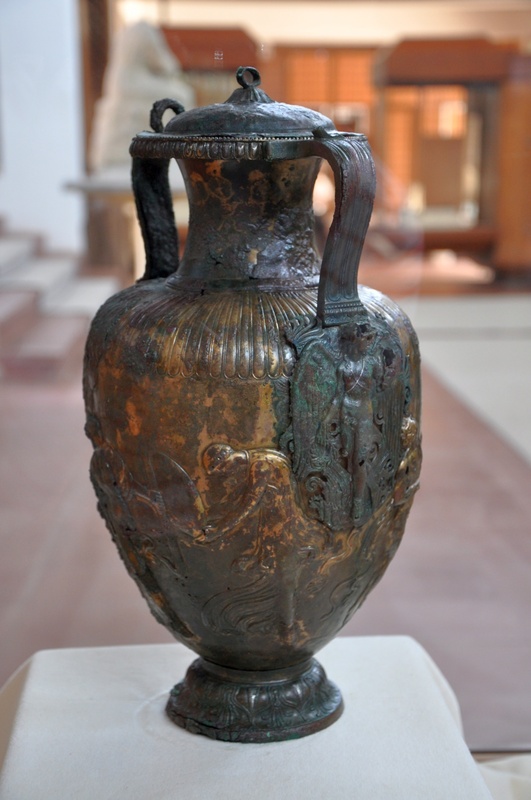 One of the most interesting exhibits is a 2400-year-old amphora made of bronze, found in 2005. 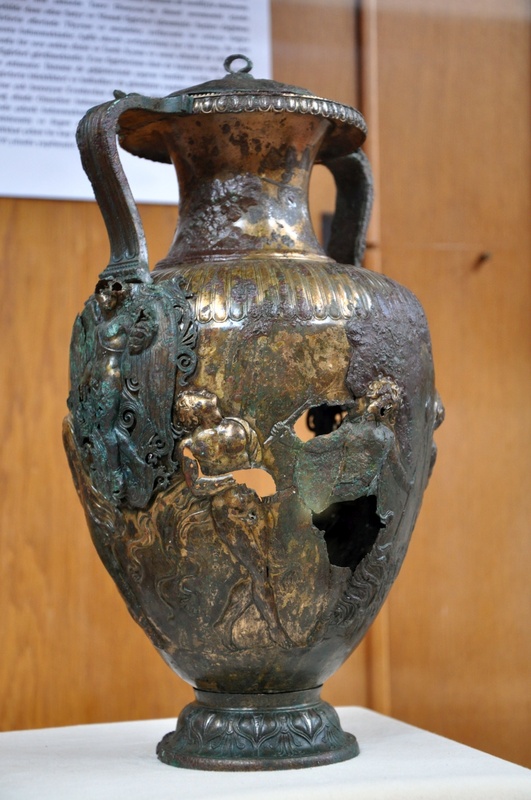 The vessel is 34 cm high, and it is decorated with the theme depicting the ecstatic procession of dancing figures: the god Dionysus, a satyr, and maenads. The village of Kemer is not a place to stop overnight as there are no accommodation options there. We recommend finding a room in a hotel in Lapseki, located to the west. Alternatively, you can book a room in Biga or Karabiga, further to the east. In Kemer, there are no restaurants or shops, so it is worth to stock up on supplies of food and beverages before the trip. 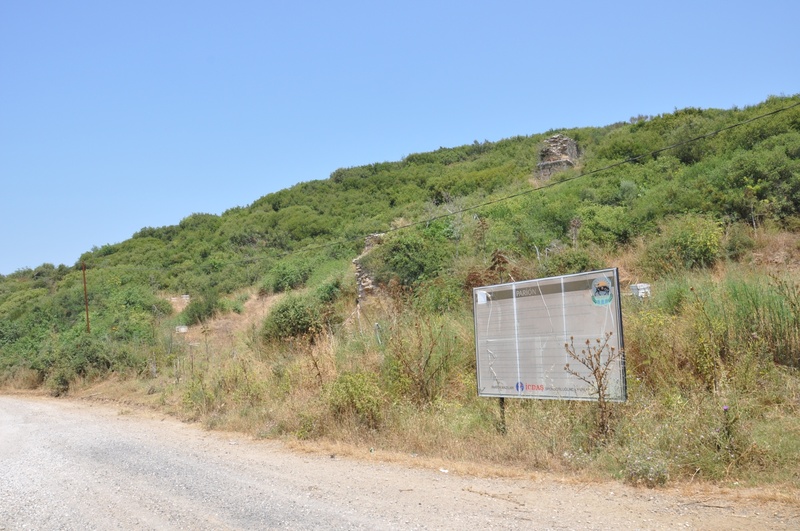 By car: take E90 route from Çanakkale to the north-east, through Lapseki. Turn left (to the north) after 74 km, and follow Kemer (Parion) signposts. The local, but good quality road takes you to Kemer village, 12 km from the crossroads.